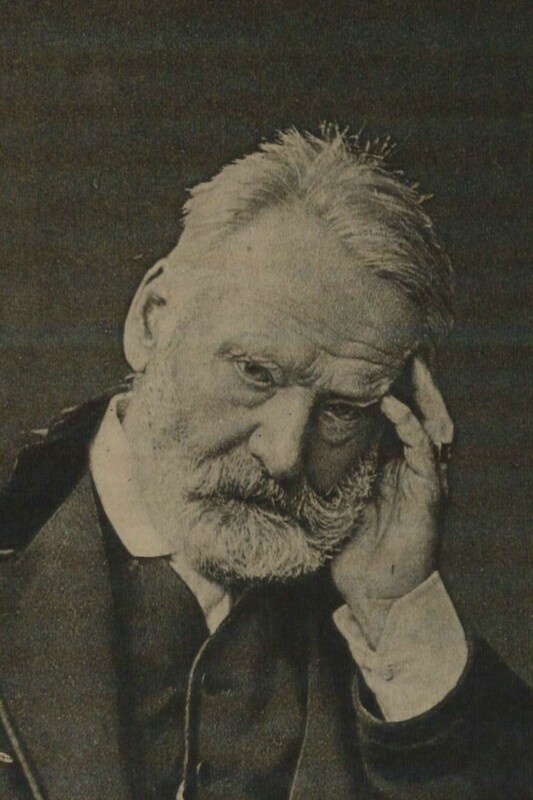 Victor Hugo, a French poet, novelist, and dramatist of the Romantic movement, is considered one of the greatest and most recognized French writers. His best-known works are the acclaimed novels Les Misérables (1862) and Notre-Dame de Paris (1831), known in English as The Hunchback of Notre-Dame. 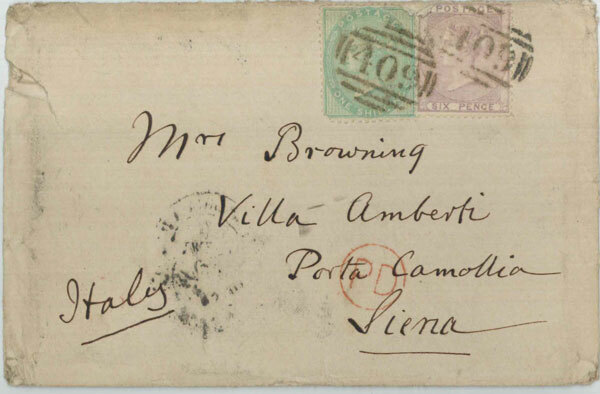 Hugo’s works at the Armstrong Browning Library include one letter and seven books, one of them rare. 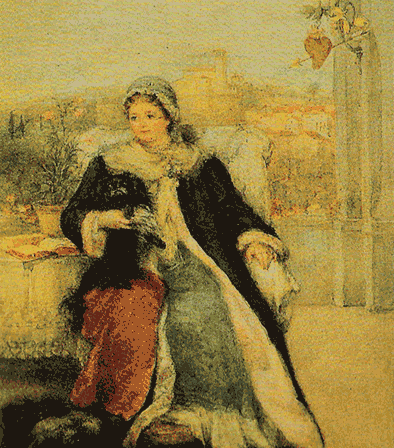 Victor Hugo. 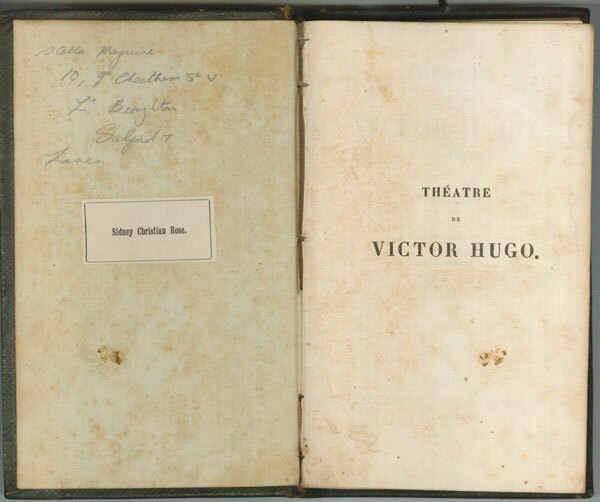 Thèatre De Victor Hugo. 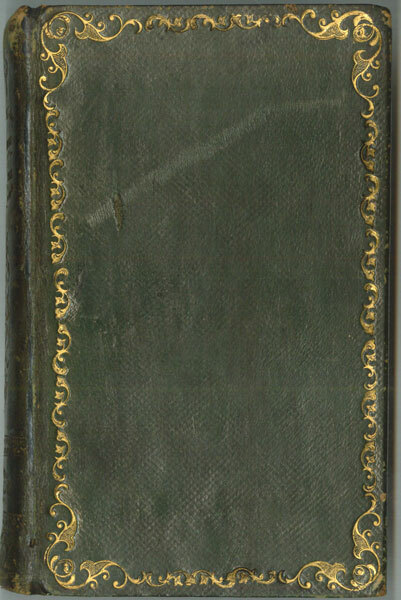 Paris: Charpentier, Libraire-Editeur, 1844. 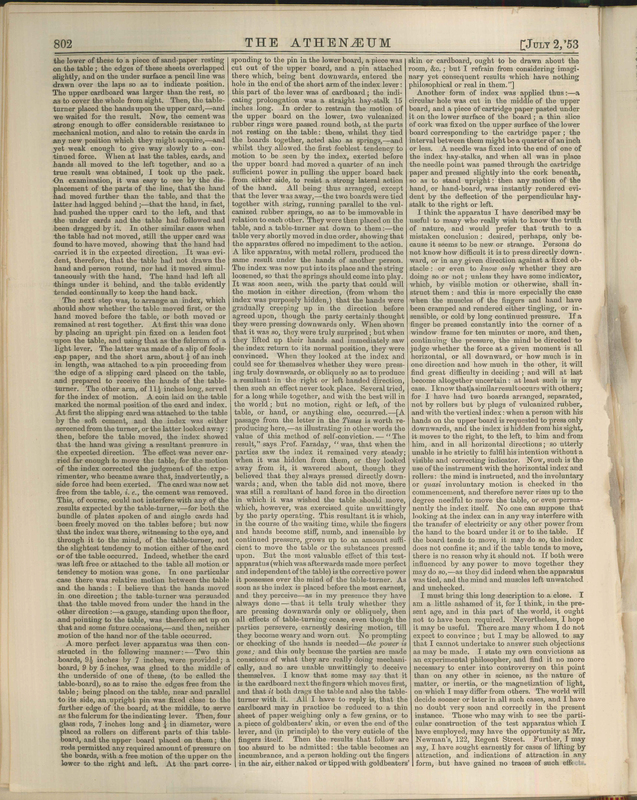 This volume is a first edition. 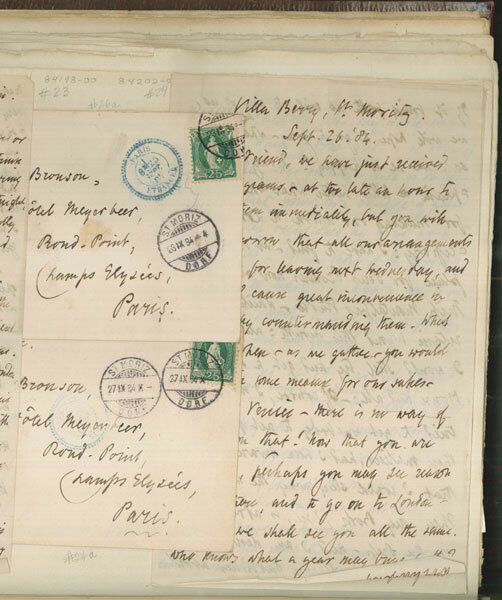 Letter from Victor Hugo to Monsieur de Fiennes. No date. 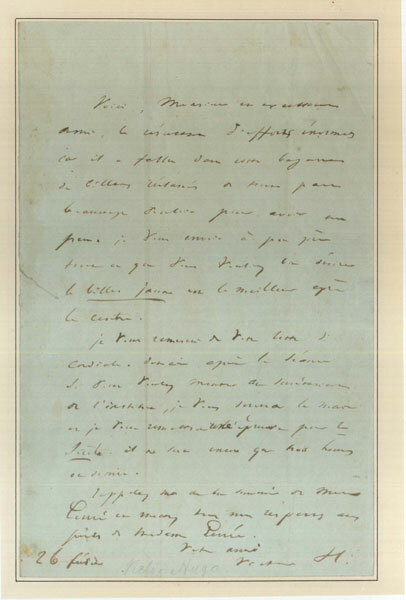 Monsieur de Fiennes may have been an advocate at Bruxelles and later appointed Minister of Finances of France in 1840. 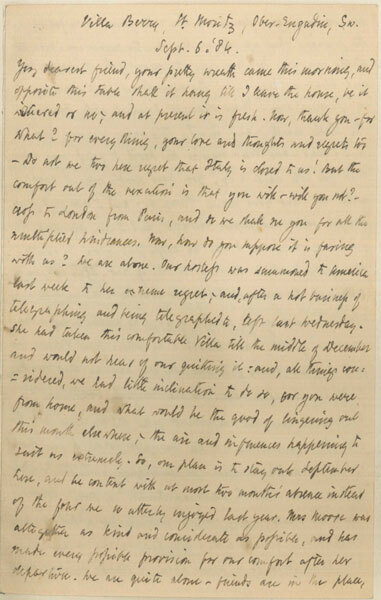 Letter from Frederick Tennyson to Elizabeth Barrett Browning. 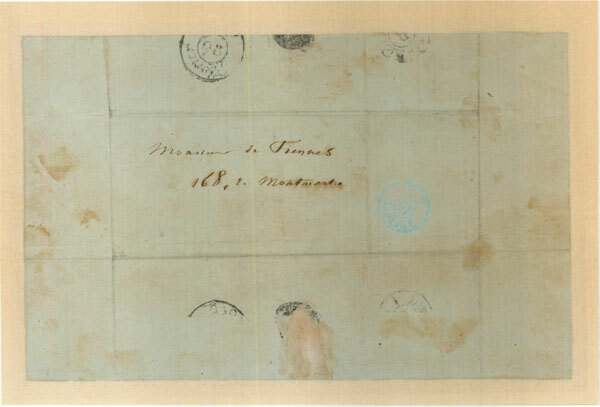 29 September 1860. 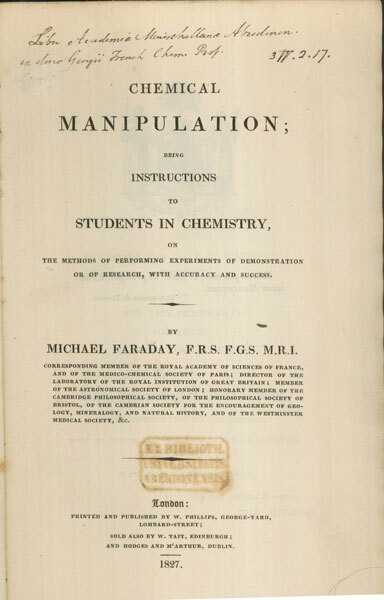 Michael Faraday, an English scientist who contributed to the fields of electromagnetism and electrochemistry, was one of the most influential scientists in history, leading to the practical use for electricity in technology. 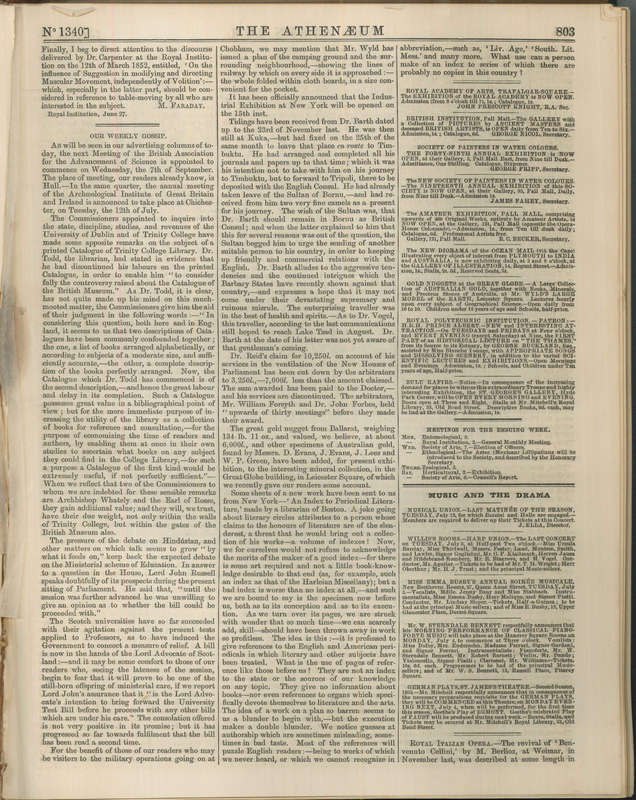 The Armstrong Browning Library owns one rare edition book. 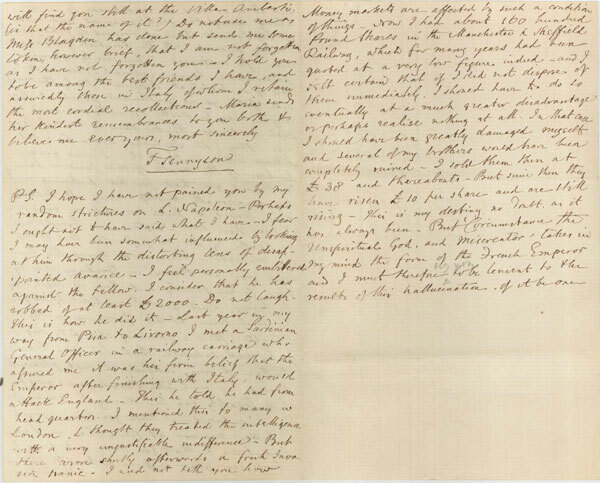 For as to Faraday, … I dont know what you conclude upon Faraday .. but for me, I am sorry not to be able to do more reverence to the name & authority of a man of science such as he. 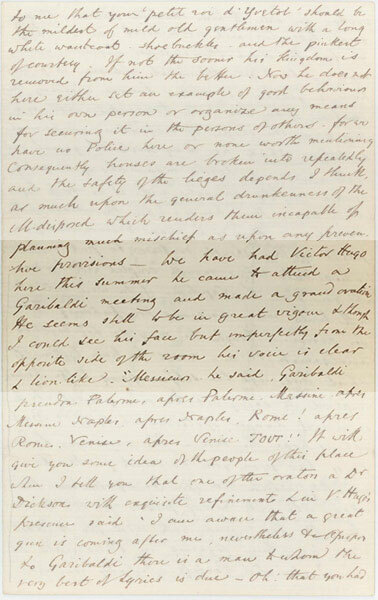 His letter meets none of the important phenomena, .. ignores facts altogether .. & has a tone of insolence & arrogance which sets the blood burning in me—what do you think: how do you feel? It seems to me from what you say that you have witnessed or had testimony upon only the inferior phenomena, and I have been long aware that these may be simulated involuntarily by the muscular hypothesis, & that many of the amateur operators have exercised their muscles simply. 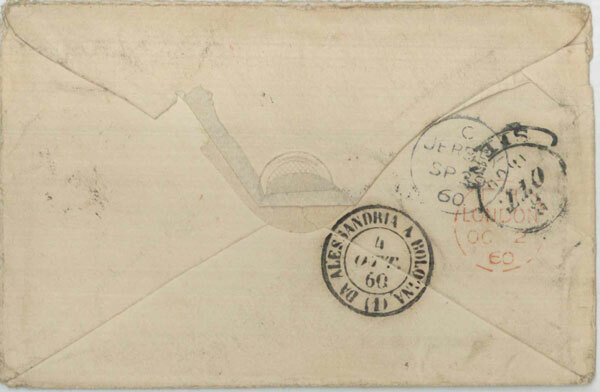 Therefore you may be convinced by the Faraday letter as some other persons have been. 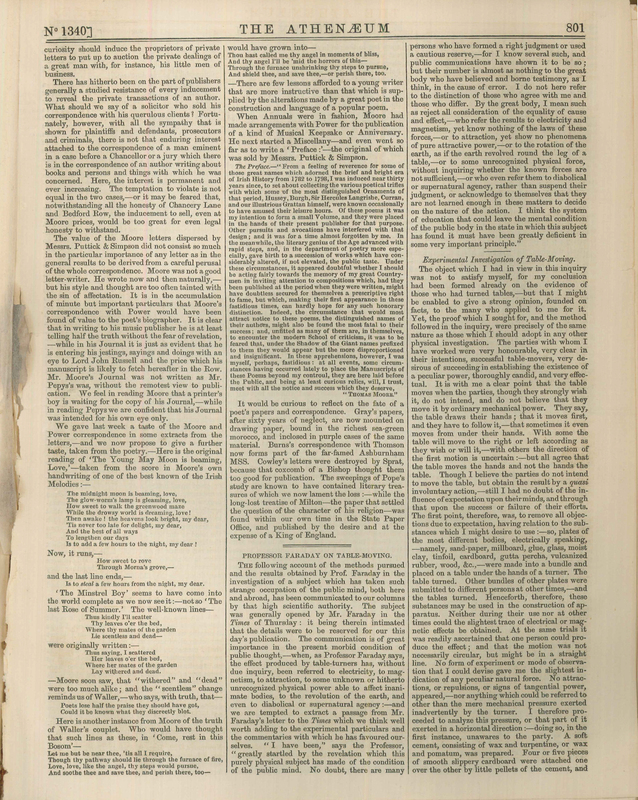 But if you were in the possession of certain facts, which, as I know them, Faraday ought to have known, before he gave an opinion on the subject .. such facts for instance as the movement of tables without a touch from finger or foot .. you would feel, as I cant help doing, considerable indignation at the treatment of the subject in this famous letter. 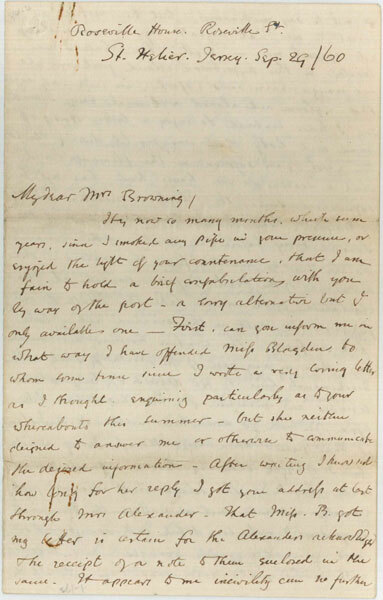 This letter, part of Wellesley College Special Collections, and also in The Browning Letters digital collection through the Baylor-Wellesley collaboration, refers to Michael Faraday’s letter on table-moving, published in The Athenaeum, 2 July 1853. Michael Faraday, “Professor Faraday on Table-Moving,” The Athenaeum, 2 July 1853. 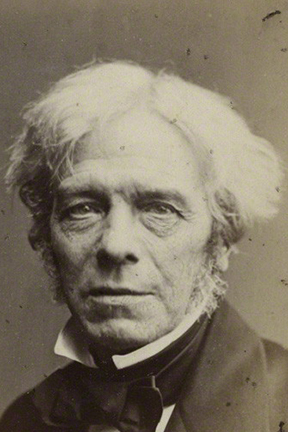 Michael Faraday. Chemical Manipulation; Being Instructions to Students in Chemistry, on the Methods of Performing Experiments of Demonstration or of Research, with Accuracy and Success. London: W. Phillips, 1827. 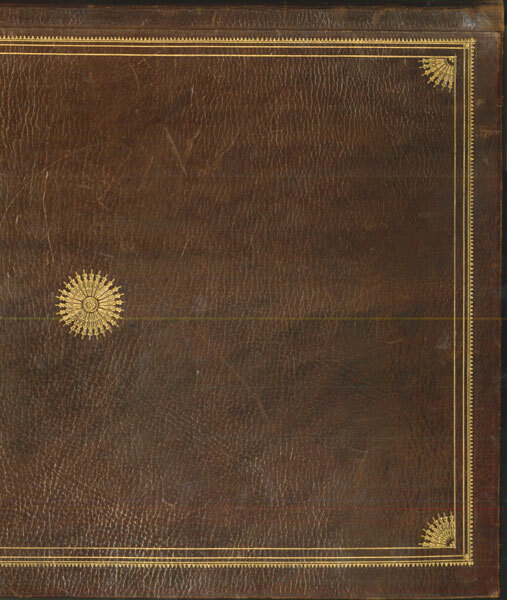 This is a rare first edition of Faraday’s only monograph, a work on experimental method.